[0:01] <darsie> Voop: The microusb? [0:01] <darsie> I don't think they are used. [0:02] <darsie> the data lines. [0:02] <darsie> It's just for power, IMHO. [0:03] <darsie> Or, is there another microusb on the pi0? [0:06] <darsie> Are there like 50 Ohm termination resistors on USB? [0:20] <Budgii> Will wireless keyboard and mouse work with raspberry pie? [0:25] <Budgii> 'dd' is what it's called? [0:32] <stiltr> Whoops, sorry. I mixed you two up. [0:33] <Budgii> sweet, yes sdb is the card. so i'll need to include (sorry, windows example) directory like C:\Mycomputer\downloads\raspbian.img in the file name? [0:34] <stiltr> If your distro has it, lsblk is a handy command for identifying disk, just FYI. [0:36] <Budgii> Do I need to unzip my download? [0:36] <stiltr> Yes. You should end up with a .img file. [0:41] <Budgii> here goes nothing. Does this not show a progress or status while writing? 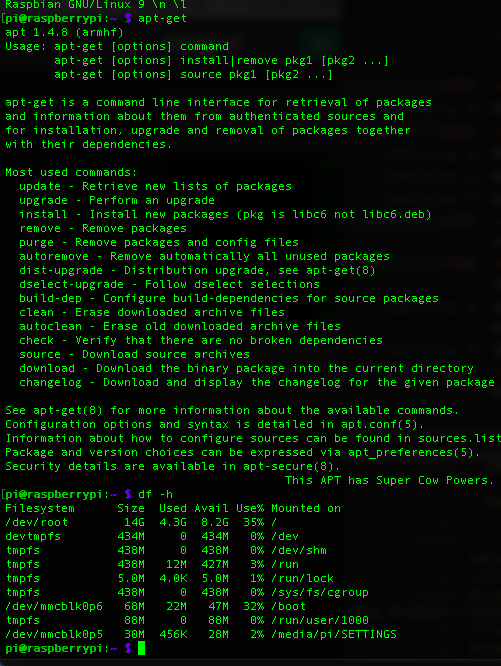 [0:42] <stiltr> Depending on your distro, you can add status=progress to the dd command to get some progress info. [0:43] <Budgii> I guess i'll wait patiently haha. any idea how long this should take? the SD card writes up to 80MB/s and the adapter is 60MB/s. [0:46] <Budgii> do i really have to do this crap? [0:47] <stiltr> Budgii: If it boots, you're good. More or less. [0:47] <Budgii> im going to plug her in and here we go! [0:48] <stiltr> d4rklit3: Does the audio device work outside your node stuff? [0:50] <stiltr> Voop: First guess is a bad solder joint on one of the power lines. [0:50] <leftyfb> Voop: did you test hte hub + wifi before soldering it? [0:51] <stiltr> Voop: Check the voltage at the hub, if you can. [0:52] <stiltr> d4rklit3: I don't know much about node, but I'd guess there's some sort of use device #2 code going on. So if the default changes, your numbering changes. [0:52] <Budgii> how do i get wifi going? [0:55] <stiltr> d4rklit3: Like know how long the file will take to play? [0:59] <stiltr> d4rklit3: Sorry, that's what I meant as well. Ya, something like that would work. Or you could probably pull it from the file with something similar to ffprobe. [1:03] <stiltr> d4rklit3: You might need to specify an audio device. I'm not really sure. I've not dealt with either of those. [1:04] <stiltr> Voop: Have you rebooted since desoldering? Could be the controller got confused and needs reset. [1:04] <Budgii> How can I get into IRC on it? [1:18] <d4rklit3> anyone? how do i set my default audio ? [1:22] <Budgii> On IRC with RPI. W00t! [1:24] <Budgii> What OS do most of you use on RPI? [1:24] <mfa298> Voop: you can only hae one thing on a usb port, so either the hub (via soldered wires) or something on the data port, you cant have the hub soldered on and use the data port at the same time. [1:25] <mfa298> also with higher speed signals (like usb) the wiring can make a difference as things like the capacitance between conductors comes into play. [1:26] <luxio> does pi 3b+ take a regular SD card? [1:26] <luxio> or do I need micro sd? [1:28] <mfa298> there's also the posibilty that by soldering to pads you've oerheated some other component and damaged it or afected its connection (although if your being a standard hobbiest and using tin/lead solder that should melt at a slightly lower temperature than the lead free solder used for manufacture. [1:32] <stiltr> d4rklit3: Sorry, stepped away for a bit. Any luck? [1:33] <stiltr> d4rklit3: Always good when you don't need root! [1:34] <mfa298> luxio: id get the proper psu, a few phone chargers may work some off the time, most will just lead to problems. For a few extra pounds/dollars its easier to not have the guesswork. [1:34] <BurtyB> luxio, lots of things - I use some of mine for monitoring mains power, battery voltage/current, graphing, controlling power sockets, etc. [1:46] <Budgii> Question.. i'm reading a tutorial and it talks about using PuTTY and xdrp (something like that) so you can use remote desk top on windows to get to your Pi. Is there such a thing as Remote desktop on linux to connect to RPi>? 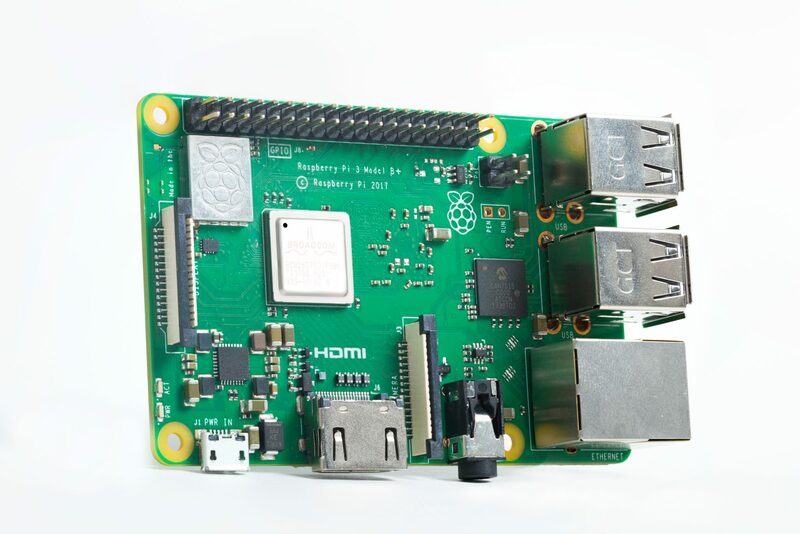 [1:49] <Budgii> BurtyB, do you use Raspbian on your RPi? [1:50] <Budgii> Do most use Raspbian as OS for RPi? [1:52] <Budgii> Does anyone use Putty? [2:01] <leftyfb> anyone got an alternative to DAKboard/dashing.io? Basically a customizable wall display that ties into lots of services? [2:01] <ShapeShifter499> do the Pis have any power on ethernet option? [2:06] <ShapeShifter499> ok well I'm trying to figure out how I might get the Pi to boot up again after a power outage. Since my Pi 3b+ will be plugged into a UPS I thought of having my Pi set up to shutdown when the UPS sends a power out signal. The issue is not knowing how to reboot the Pi if I have shutdown the Pi but the UPS never fully lost power. [2:07] <BurtyB> ShapeShifter499, plug the ups into the pi if it has a data connection? [2:10] <ShapeShifter499> My problem is not knowing what to do when the power is "out" but the UPS is still providing power. Should I kill all services? or shutdown fully? [2:11] <d0rm0us3> Set it up for a 'graceful' shutdown in a 'normal' shutdown/reboot sequence. [2:18] <ShapeShifter499> shauno: does it still do that if the grid power comes back? [2:19] <ShapeShifter499> shauno: you mean the UPS? [2:35] <Budgii> in my tutorial It the expiriment requires 1x Resistor 220Q, do I just tear one out of the strip? [2:37] <ShapeShifter499> shauno: I don't remember anything about what you described when I was first going through setup. I might have missed it though. Do you know what I should look for in my settings? [2:37] <ShapeShifter499> if I plug into the usb data port of the UPS, what should I look for? [2:38] <r3> but, other than that, there isn't going to be an off-the-shelf solution to power back up a system that has been powered down. That includes the USB into your UPS. All that will do is inform the system that it is on battery and give it a percent left. Then the OS must take over and suspend or shutdown the system. [2:39] <r3> different UPS software handles it differently, and different OSes handle it differently. The link to the switchdoc item I posted looks like it would power the Pi back up after it has good power. [2:42] <r3> you're welcome - have fun! [2:46] <Budgii> see page 27, am I supposed to plugin the LED at line 11? [2:46] <r3> I suppose, if you're running your Pi from a wall wart, and it is coming back on after a power loss, that the wall wart will send power when able. Meaning your Pi will just power up. [2:47] <r3> shauno: of course a wall wart is going to output power when the UPS is on battery. I've several here that do just that. [2:51] <r3> you should always use a resistor with LEDs otherwise they will draw too much current and burn out. The resistor doesn't have a positive or a negative side. [2:52] <Budgii> is that what I am supposed to do? [2:53] <Budgii> dont have any of that so ill stick with the trusty fingers. am I putting the resistor in the port directly left of GPIO17? [2:54] <r3> no into GPIO17 it looks like from here? [2:55] <r3> if your kit has a breadboard like that image, I would learn how to use it. It's very simple and will save you headaches in the future. The colums on either side are all wired together, and then the rows are wired together in strings of 5 with a break in the middle. [2:57] <r3> Shapeshifter: look, here is what I would do. Get a quality wall wart. Use it to power Pi. Plug in wall wart to UPS. Take UPS data/signaling cable USB and plug into Pi. Look for UPS software or OS support for a UPS - there is some I just can't remember what it is right now. So that's half of the problem. The Pi will get a signal to shut down from the UPS when the power goes out. [2:57] <r3> Then, when the power resumes, the wall wart will start sending power to the pi and it will switch on. Then all you have to do is have the Pi configured to run whatever at start up. Done. [2:58] <r3> Unless the UPS runs out of battery or shuts itself off after a period of time. Then you're going to have to press a button on the UPS to turn it back on after the power comes back, but that will depend upon model of UPS. [3:00] <r3> Budgii: doing ok? That page shows the pi being plugged into a breadboard. I didn't see that before. Just hook it up how it looks in the diagram on page 27 under the schematic. [3:00] <r3> the bottom of page 27 is exactly how you should wire it up. [3:00] <ShapeShifter499> r3: right but I'm worried that the UPS will tell my Pi to shutdown right as the power comes back. [3:02] <shauno> there should be plenty of guides for this, because exactly the same thing affects PCs. if the PC shuts off but the UPS doesn't, how does the PC know when to turn back on? [3:02] <r3> ShapeShifter499: why would it do that? I've a dozen Pis hooked into UPSes. They don't power down when the power resumes. [3:02] <r3> shauno: that's what I was saying about "resume from power loss" setting in a BIOS. It will sense when power returns to the PSU. [3:03] <Budgii> r3, it only shows the resistor covering a total of 4 ports. my resistor could cover 25. should I trim it? [3:04] <r3> BurtyB: I was talking of PCs. We all know the Pi doesn't have BIOS. It just turns on when there is power - there isn't a power switch. [3:04] <r3> Budgii: I would put the components in the exact places as shown in the diagram. [3:06] <r3> BurtyB: go away. Look: "[19:02] <shauno> there should be plenty of guides for this, because exactly the same thing affects PCs. if the PC shuts off but the UPS doesn't, how does the PC know when to turn back on?" ... then I replied to him discussing PCs. [3:07] <r3> trying to help a true newbie here and people are being pedantic. Be quiet. [3:09] * ball walks in half way through. Are we building Pi UPS? [3:09] <ball> Is this a private fight or can anyone join? [3:10] <r3> Im looking at the picture at the bottom of page 27 there, Budgii, it is showing you EXACTLY how to hook up the pieces. [3:11] <r3> the blue line is a wire, so is the black one. The LED looks like the LED you have in your hand. the Resistor looks like the resistor you just removed from the pack. [3:11] <r3> they go into the holes on the breadboard. [3:13] <r3> so go ahead and lets start with the resistor. Put it into a pair of holes 5 holes apart like it shown on that diagram. [3:13] <r3> give yourself some room away from the T thing. you can use the far end of the breadboard. [3:15] <r3> well you could use any wire there really. Is there another in the kit? [3:16] <r3> it's just another jumper. The size and color doesn't really matter, it's just nice to see it matching. [3:16] <Budgii> o wait.. it said x2 on the wire. [3:18] <r3> GPIO17 is row 58 I mean. [3:20] <r3> so everything in row 44 - all 5 of those holes - are connected. [3:20] <r3> everything in row 58 - all 5 of those holes - are connected. [3:22] <r3> so if you have a jumper wire that you need to put connecting GPIO17, then put one end of the wire into row 58 and then choose another row, like row 5 or 10 that is on the far side of the breadboard and put it in that hole. [3:23] <r3> so say you chose row 5 to put this "blue" wire into. One end is in row 58 and the other is in row 5. Now you can go next to where you put the blue wire into row 5, still keeping in the same row, and plug in one end of the resistor. [3:23] <r3> that makes a connection, as long as they are in the same row of 5 holes. [3:24] <r3> there is a break down the middle of the breadboard, that seperates the board into two groups of 5. They are not connected together. So let's work on just one side of the break. [3:26] <r3> it would have been better for them to list row numbers in the diagram so that you could at least talk about it, but it's ok, you get to choose what row you use for the components that you're putting in. Just keep in mind that the numbered rows are all connected together inside the breadboard in a group of 5 and you will soon understand how that diagram is telling you to hook things up. [3:26] <r3> haha! You did it! [3:26] <Budgii> thanks for your help!! [3:26] <r3> you've made your first step into a larger world. [3:27] <r3> but now you can see that it is super simple to use the breadboard to make connections rather than holding them together or soldering temporary work. [3:27] <r3> and you won't short something out! [3:28] <r3> Budgii: take a break, let your brain breathe a bit, then try another lesson in the guide :) You're doing well and I know you can take it from here. I've got to go get dinner, but will be back in an hour or so. [3:29] <r3> it works just like the other side, but they are not connected together - so you can have a Row 44 "left" and a Row 44 "right" and those groups of 5 are connected together, but not each other. [3:34] <r3> Budgii: yes! That's it! 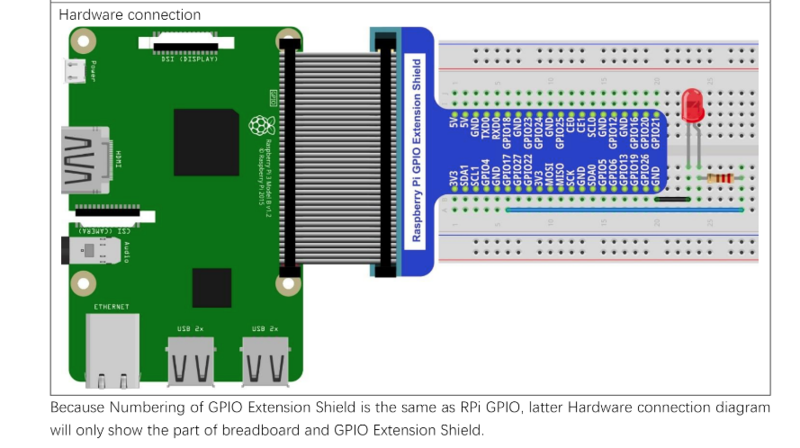 So think about what the Pi is doing to GPIO17. That program is telling that one hardware pin to power off, then on, then off, then on. [3:34] <Budgii> Yes pretty cool! [3:37] <ball> Can they sink enough current to directly connect an LED or would I use a transistor? [3:37] <Budgii> when it says this: Set pin to output mode. “pin” for the GPIO pin, “mode” for HIGH (high level) or LOW (low level). [3:37] <Budgii> does that mean I can make it brighter? [3:38] <r3> ShapeShifter499: you can configure the Pi - via UPS software, again I forget the name - to shut down when there only is a minute of time remaining on the UPS. So in that minute if the power comes back, the Pi will be in shutdown. But that should be OK, as it will turn off, then sense power has returned? You may have to play with it some. [3:38] <r3> Budgii: HIGH will be ON and LOW will be OFF. I think. You can make a dimmer for an LED using something called PWM, which the tutorial should cover a bit later. [3:39] <Budgii> oh that makes sense. [3:39] <ball> ...I suppose it depends whether your objective is minimum downtime or maximum safety for your Pi. [3:42] <Budgii> hi guys so im testing a fade script and getting this error: untimeWarning: This channel is already in use, continuing anyway. [3:43] <Budgii> how do I un-use the channel? [3:46] <ball> ShapeShifter499: I like my minimum charge idea for that then. [3:48] <ball> Voop: I did but it was Python so I closed it quickly. [3:48] <ball> Voop: What are you building, anyway? [3:51] <ball> I wouldn't think it would. [3:51] <ball> Any reason you're using a relay there? [3:52] <ball> Voop: Have you looked at optoisolators? [3:53] <ball> A relay seems like it would introduce more issues than it solves. [3:54] <ball> ...well you've got contact bounce, for one thing. [3:55] <ball> 24V through a 1.2k resistor might light the LED in an optoisolator. [3:55] <ball> ...and the Pi side of that would be nice and clean. [3:55] <ball> Where's the 24V coming from, anyway? [3:56] <ball> That's probably what I would do, anyway. [3:56] <ball> Might be worth asking for suggestions in ##electronics, too. [3:59] <ball> Great, that would be more efficient. [4:21] <Budgii> i know imggur does pics, canI upload a video? [4:22] * ball has no idea what all that means. [4:22] <ball> ...so I'll take the rubbish out and go to bed. [4:30] <stiltr> You could turn it into a gif. [4:30] <stiltr> If you don't need audio. [4:32] <stiltr> Ah. I'm sure there are video hosting platforms out there. [10:08] <gordonDrogon> Hero1980, you've been on this for a week or so now. What exactly are you trying to do? [11:09] <gordonDrogon> so what you're trying to do is use MQTT to store some local data into a remote thing. [11:09] <gordonDrogon> I've never used mqtt, but it's supposed to be easy - so I'm rold. [11:14] <mfa298> Hero1980: maybe try some of their examples first, from a quick look at the cloudmqtt site they seem to have a variety of examples to look at. [11:14] <gordonDrogon> can't hel pyou with that library - Iv'e never used mqtt, but maybe you need to start littering your code with more debugging - print out what's happening at every step of the way to find otu which part doesn't work for you. [11:14] <mfa298> like gordonDrogon I've never used mqtt, but I'd try some well documented examples first and add lots of debuging stuff to the code as well. [11:46] <Hero1980> can anyone one tell me how to add the username and password to this line #define ADDRESS "tcp://localhost:1883"
[11:57] <red9> regarding interested, was there anyone here interested LocalTalk? [11:59] <gordonDrogon> red9, localtalk? the old Apple thing? [12:16] <red9> gordonDrogon, Did you do C64? [12:16] <JimBuntu> Lemme see, isn't that the one where we had to re-assign drive letters to add more? [12:19] <red9> if you use a unmodified 1541, you have to send a command to change device id from 8 to 9. [12:19] <red9> then you power up the next unit 8..
[12:21] <gordonDrogon> red9, no - apple II/bbc micro - the pet stuff bypassed me. [12:23] <red9> Though I think the BBC supported "EcoNet". [12:23] <gordonDrogon> no - I did setup an office or 2 of Macs with localtalk though, but that was mostly plug it in and stand well back - um 35 years ago? [12:30] <red9> Some people tried implement LocalTalk using the Zilog-SCC chip in the Macintosh wired to a STM32 microcontroller. But these might be hard to find etc. But I checked out the bitbang capabilities of the STM32 and it should be enough to bitbang the underlying FM0 encoding and SDLC format. [12:30] <red9> If one feels like testing out a Macintosh relic one could then have a boot and file server in a neat format. [12:39] <red9> gordonDrogon, btw I did found out that modifying the ARM ODR register is slower than using the BSRR/BRR registers. 1.9 MHz vs 2.9 MHz. [12:54] <gordonDrogon> red9, I'm not that familiar with the registers, but wiringPi can toggle a pin at about 20Mhz. [13:09] <red9> gordonDrogon, On a Pi 1. There seems to be a read limit using digitalRead() at ~5.9 MHz. [13:10] <gordonDrogon> oh maybe. it's not that important, really. [13:10] <gordonDrogon> my take is that if you're bit-banging it that fast then you're doing it wrong. [13:28] <gordonDrogon> it's not really about the speed, more about things like jitter. [13:29] <gordonDrogon> you can output a 100Mhz clock from a Pi for example, or a 48Mb/sec SPI transaction, but trying to accurately bit-bang something is not trivial. [15:33] <IamTrying> https://i.imgur.com/SVc6inI.png - Guys, how do i get on my RPI 3 Model B: `$ yum -y install vim socat;` ? 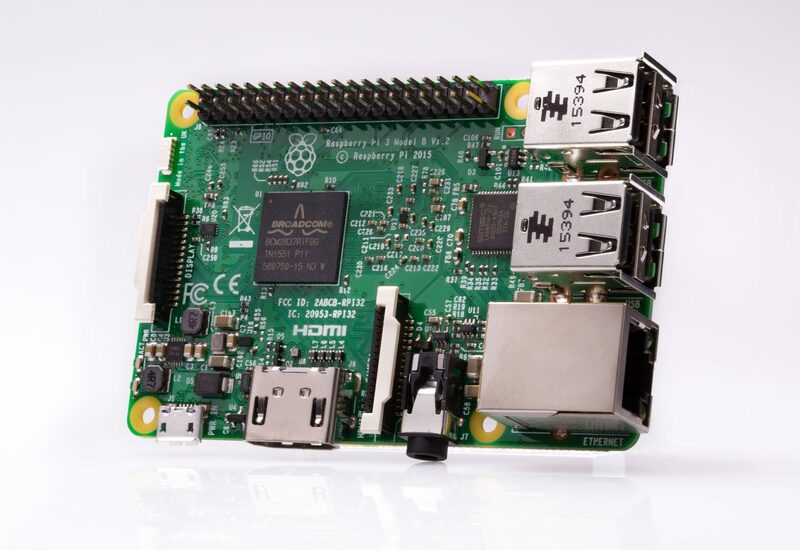 [15:33] <BCMM> IamTrying: what distro are you using on the Pi? [15:34] <BCMM> IamTrying: does `cat /etc/issue` do anything? [15:35] <IamTrying> so its Ubuntish? [15:36] <BCMM> IamTrying: are you following some sort of tutorial that asks you to do `yum -y install vim socat`? [15:39] <IamTrying> BCMM: will `$ sudo apt-get update` take lot of disk space? [15:39] <IamTrying> or its just the repository listing upgrades? [15:42] <IamTrying> if i pull out my SD card and connect another SD card and then connect the first SD card back. Will my socat, vim stay or disappear? [15:43] <BCMM> IamTrying: ... are you going to do that while the system is running? [15:43] <mfa298> IamTrying: there was probably already a minimal vi installed, so the main vim package only has to add some additional bits. [15:43] <IamTrying> BCMM: not while running. the reason is i have 2 SD Card with same OS on it. on one i have installed but if i now connect the 2nd what will happen? [15:44] <IamTrying> OK - excelelnt. [15:46] <BCMM> mfa298: it's up to distros to manage that, not python. but yes, basically. [15:47] <BCMM> IamTrying: the usual shortening of python is "py"
[15:49] <IamTrying> Excellent i will start to play more now BCMM. Just one confusion how do you setup the run levels? [15:50] <mfa298> BCMM: RVM in the Ruby world is a Ruby thing rather than a distro thing which sounds a lot more flexible then. I can have several different installs of ruby with that and that can potentially be done at a user level or a system level (it's effectively managing paths as well) but sounds a lot more flexible that python then. [15:52] <mfa298> IamTrying: sysvinit (the stuff that provides /etc/inittab and init.d) has gone from most linux distros (and quite a few other *nixes) unless you're some ludite who puts it back in. [15:53] <IamTrying> What is the better option in modern era mfa298? i did Ubuntu 6 years ago and then only used CentOS till now mostly. [15:54] <gordonDrogon> mfa298, you don't need to be a luddite, just someone who prefers choice. [15:55] <IamTrying> Confusion. i am as user pi@raspberrypi, on boot using systemd i will tell : `IAMTRYING_PYTHON2.7 0:off 1:off 2:on 3:on 4:on 5:on 6:off` will have GPIO18 access? [15:56] <IamTrying> or ineed to be root? [15:56] <IamTrying> will i be fine with pi username or i need to be root? [15:57] <gordonDrogon> IamTrying, you generally don't need to be root these days to do most GPIO stuff. [15:58] <IamTrying> thank you very much guys. i have all the tools to move on now. [16:01] <IamTrying> WOW - Great. [16:03] <mfa298> IamTrying: systemd uses targets to define what's started at boot, there should be plenty of documentation in the CentOS/RHEL/Fedora world as they moved over to systemd based stuff a few years ago, debian moved over with Jessie. [16:41] <IamTrying> RPI 3 Model B - how do i remove Graphical user interface login so that when i send my RPI box to the client. He cant login and break my setup but request me for login / password? right now it boot directly as username: pi. Possible to disable the GUI boot with protection? [17:07] <mfa298> IamTrying: something like 'systemctl set-target multi-user' (that's from memory but the help should tell you the exact syntax). I think that's effectively what raspi-config does under the hood. [17:08] <shiftplusone> raspi-config also does stuff to configure whether to login automatically or not. [17:11] <IamTrying> One issue still. When i disable GUI login it still show Plymouth GUI on boot. Is it possible you can disable that? so that it boot absolute TEXT-UI mode only? [17:19] * BurtyB has no idea what a plymouth gui is (yay command line) but what option did you pick from raspi-config? [17:49] <gordonDrogon> it's always lunchtime somewhere. [17:49] <gordonDrogon> almost tea time here. [17:56] <shiftplusone> isn't tea time all the time? [17:58] <shiftplusone> Once overheard an old British lady on a train in Australia say '...then we might be home in time for tea', which I found to be a strange statement. [17:58] <IT_Sean> shiftplusone: it is pretty much always time for tea. It is not, however, always teatime. [17:59] <shiftplusone> IT_Sean: over there too? I thought it was a UK thing. [17:59] <IT_Sean> Not really a thing over here. [18:01] <IT_Sean> Although.. More and more I'm finding that things that aren't things here are becoming things to me, since I work with a bunch of Germans. [18:02] <IT_Sean> And they have their own routines and such. [18:02] <shauno> so now teatime is 5:30pm SHARP? [18:02] <shiftplusone> Huh? I thought we don't let Germans have their own things anymore. [18:03] <IT_Sean> Different, yes. Quite pleasant to work with, once you get used to a few things. [18:03] <r3> nothing quite like getting a phone call at 2AM from and excited Scottish person. [18:03] <gordonDrogon> ach, see you, jimmy? [18:03] <IT_Sean> Well... I'm used to a 3pm meeting starting sometime between 3.15 and 3.28. [18:04] <gordonDrogon> tea time is oft confused with dinner time which is oft confused with lunch, but not supper. [18:04] <r3> rrrrrrrrrr3! Tha blast'd link ees doun agaeen! We canna geet anee orrrderrs threw! [18:04] * JimBuntu loves him some supper. [18:04] <IT_Sean> Three pm on Ze dot! [18:04] <red9> IT_Sean, few things like? [18:04] * gordonDrogon is scottish. [18:06] <IT_Sean> Never, ever, try to out drink a Scotsman. ...unless you are Irish. [18:07] <IT_Sean> IamTrying: easy on the flood there, aye? Pastebin is a thing. [18:07] <IamTrying> Sorry IT_Sean. Did not expected so long paste. [18:07] <r3> BUT, I don't want to continue that stereotype, they were awesome people and I miss working with them. [18:08] <gordonDrogon> r3, Ah, did you see the Keplies and The Wheel ? [18:08] <IT_Sean> Nothing bad. Just a different way of doing things, red9. [18:08] <IamTrying> https://i.imgur.com/OdG9Ivd.png - This worked thank you guys. [18:09] <gordonDrogon> although they were built after I left - been out of Scotland now for almost 30 years..
[18:10] <IT_Sean> shauno: heir sense of humor is different. Not better, not worse, just different. I've had quite a good laugh with a few of 'em here. [18:10] <red9> Are there any Europeans that are hard to work with? [18:11] <gordonDrogon> r3, ah well. [18:11] <IT_Sean> I'd quite like to see the Falkirk wheel in person. [18:11] <shauno> red9, honestly, the only people I don't like working with are italians and indians. in both cases because they've redefined the meaning of "yes"
[18:12] <gordonDrogon> my brother is now more german than a german, having lived there for 20 years or so now. [18:13] <gordonDrogon> r3, I'm sure none of it as serious though. [18:14] <gordonDrogon> r3, I grew up on the other side of the river from Falkirk - a place near Stirling. [18:14] <shauno> the scots are a lot like the irish in that regard. most the time if they're laughing at you, they're laughing with you. you should be more worried if they don't. [18:17] <red9> r3, English watering hole? [18:18] <red9> Any experiences with Russians, Chinese, Japan, South Koreans? [18:18] <IT_Sean> I've worked with a few Russians. [18:18] <IT_Sean> Nice enough people. Can drink Ireland under the table. Hard workers, when they wanted to be. [18:22] <gordonDrogon> I had to entertain a Japanese gentleman some 25 years back when he visited our company - he was the remote service engineer for the super computers we installed in tokyo. We took him to karaoke... He was utterly brilliant. normaly had a heavy accent, but not when singing. [18:33] <rhagu> Hi everyone, I am using a raspberry pi 3 and a MCP4725 DAC to generate sine waves over the i2c connection. I can get an output using python and the adafruit libraries, but the signal gets worse the higher the frequency, I have measured the output: https://imgur.com/a/Xnpx1 Any ideas why it might get so "choppy"? [18:33] <r3> cultural training I had before meeting them. Business cards were very very important and you would never write on one or just stuff it in your pocket. [18:35] <r3> rhagu: that looks to me like you are exceeding the bandwidth of the DAC? [18:37] <red9> Too few bits? EMI issues with clocking? [18:38] <rhagu> I tried to increase the baudrate as well with this command in /boot/config.txt : "dtparam=i2c_arm=on,i2c_arm_baudrate=1000000"
[18:40] <gordonDrogon> you'll probably find that 800Khz is about the top baud rate you can run on the Pi. [18:41] <Bitweasil> I mean... yeah. It's not exactly high end hardware on the Pi. [18:41] <gordonDrogon> the hardware can go faster but when I looked at the signals they were not good enough to call "I2C". [18:41] <Bitweasil> "A post-modernist impression of I2C"? [18:41] <Bitweasil> "I can't believe it's not I2C!" [18:42] <Bitweasil> "Well, I mean, you don't REALLY need to swing rail to rail..."
[18:42] <Bitweasil> "Variations on 1.65V"
[18:42] <Bitweasil> I've put some of the FTDI clones on a scope at 3M baud, and... yeah, lol. [18:43] <Bitweasil> A legit FTDI up there is rock solid. [18:47] <rhagu> gordonDrogon can you tell me where the 3 bytes per sample come from? is this i2c standard? [18:48] <gordonDrogon> rhagu, I guessed - I'd need to read the data sheet of your device to be sure. [18:49] <gordonDrogon> rhagu, yes, it's 3 bytes per sample. address, then 2 bytes of sample days. [18:50] <gordonDrogon> it's a 12-bit device. [18:50] <gordonDrogon> ali1234, no register - single function device. [18:50] <gordonDrogon> you can stream to it, but that's harder and I suspect the driver you're using won't do that. [18:50] <gordonDrogon> streaming would be 2 bytes per sample. [18:51] <ali1234> does it have a buffer? [18:51] <gordonDrogon> pg 18 of the datasheet. [18:51] <Bitweasil> rhagu: let's rewind, perhaps. What are you trying to /do/? Beyond generate a sine wave? [18:52] <gordonDrogon> rhagu, great, but if the Pi can't do 1Mb/sec it's not going to do 3.4Mb/sec. [18:52] <Bitweasil> Streaming sine wave data over I2C to a DAC isn't... really how I'd generate a sine wave. [18:52] <Bitweasil> ... huh? How does a sine wave factor into this, then? [18:52] <Bitweasil> Also, Python is not the fast way to do things. Kernel modules are. [18:52] <ali1234> what frequency is your sine wave? [18:53] <gordonDrogon> Bitweasil, you're just confising things. php is more than fast enough to saturate the Pi's I2C interface. no need for a kernel module. python is fine. [18:53] <gordonDrogon> just using it as an example of a slow language. [18:54] <gordonDrogon> I did some crude benchmarks of php, python and my basic. php was the slowest. [18:54] <Bitweasil> How does C compare? [18:54] <rhagu> gordonDrogon is there a way to find out what is limiting my setup? Whether it is Python, I2C, my script or the raspberry itself? [18:54] <gordonDrogon> C was 30 times faste tham my basic. [18:55] <gordonDrogon> rhagu, get your calculator out and do the sums. really. this is something you need to know how to do when doing this stuff. [18:55] <Bitweasil> rhagu: if you've got the scope, see if the I2C bus has long pauses between transmissions. [18:56] <gordonDrogon> Bitweasil, as I said, with the right code, a shell script can saturate the I2C bus. [19:08] <rhagu> or is this kilobit? [19:09] <red9> btw, baud is bits modulated over a link. While bitrate is plain bits sent (without modulation). [19:10] <red9> spi or i2s D/A ought to have higher probabiliuty of success. [19:12] <gordonDrogon> sorry - had to dash out to the shops before they closed - out of milk error which was raised as an exception to a tea requirement. [19:12] <rhagu> the datasheet says the MCP2475 supports: "Standard (100 kbps), Fast (400 kbps), and High-Speed (3.4 Mbps) Modes", how can I "activate" them? [19:12] <gordonDrogon> Right - calculators out - you should be able to push over 3000 samples/sec to that device over 100Kbps I2C. [19:13] <Bitweasil> Which is only 6 samples per 500Hz wave. [19:13] <gordonDrogon> right - which is close to the 8 or so that we're seeing. [19:14] <gordonDrogon> so we're close to theory. [19:14] <gordonDrogon> what we need to know (what you need to know) is more about your system - is that a good enough sine wave - will you want a higher frequency, stuff like that. [19:15] <gordonDrogon> and do note that you can increase the speed of the Pi's I2C bus, but really - you'll struggle to get it to work reliablly above 800Kb/sec. [19:15] <gordonDrogon> however that's still an 8x speed increase. [19:16] <rhagu> gordonDrogon 800KB/s would be great, but how can I get close to that? Does it matter which pins I used? [19:17] <gordonDrogon> I don't program in python, so that's meaningless to me. [19:18] <red9> gordonDrogon, what script language do u use? [19:19] <red9> rhagu, How to activate modes ought to be in the datasheet? [19:19] <gordonDrogon> I think you just clock it faster - the issue is the time the bus takes to get back to 3.3v. the faster speeds have active pull-ups in the devices. I don't think the Pi supports it - it has the 1k8 on-board resistors. [19:20] <gordonDrogon> certinaly up to 1.2Mb/sec you just clock them faster - I've used that on ATmegas but the Pi talking to the same hardware would not work over 800Kbps. [19:34] <gordonDrogon> I2C is a pull-low/open collector type of bus. [19:35] <gordonDrogon> the main issue with higher speeds is that it doesn't get back up to Vcc in time, so the 3.2Mb/sec devices actively pull it high. [19:36] <gordonDrogon> that (and spi) were really intended for same-board type devices - a sensor or some sort only a few cm away from the cpu, and so on. [19:36] <gordonDrogon> I2C can go further, but speeds suffer. [21:30] <shbrngdo> Ben64 - there are a lot of such modules available through distributors like Digikey. maybe sparkfun has a breakout. just make sure that 3.3v logic can trigger it, less than 10ma current on the pin. 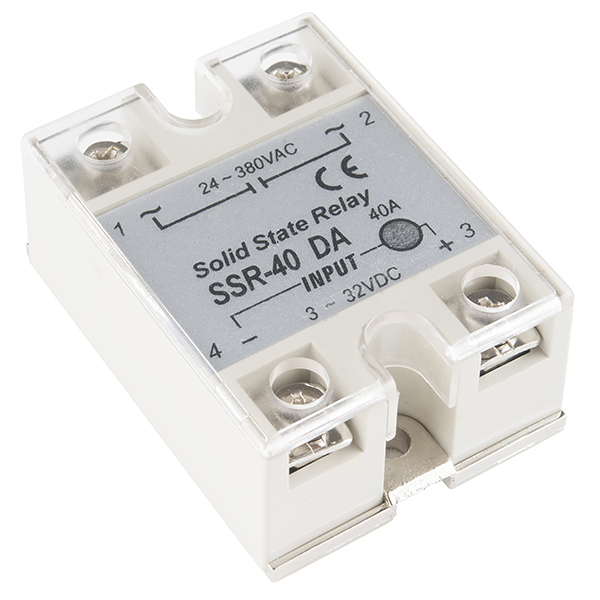 [21:31] <shbrngdo> the simplest type of solid state relay might be a power MOSFET (NMOS) with the source on ground, gate on GPIO, and drain attached to the ground side of the load. [21:32] <stiltr> Ya, I usally use a FET if it's a DC load. Obviously AC is different. [21:34] <stiltr> It says 3-32VDC for the input. [21:34] <stiltr> Why wouldn't it? [21:35] <shbrngdo> you'll need to check the spec sheet for it. I didn't see a link for it but I have scripting turned off. [21:36] <shbrngdo> oh ok. so the control voltage is 3-32V ? [21:37] <stiltr> Looks like the min ON voltage is 2.4. [21:38] <shbrngdo> should be fine then (2.4v). current under 10ma? [21:39] <stiltr> Ya, it looks like it. [21:39] <shbrngdo> perfect. should do what you want, then. [21:40] <GenteelBen> Ben64, my fellow Ben. [21:40] <GenteelBen> I'm lookin for a 3B+ kit but they're just standalones right now. [21:45] <shbrngdo> interesting. so the B+ has a larger board area around the CPU, in addition to the heat sink on top. [21:53] <shbrngdo> "fix one bug, grow two more"
[21:54] <stiltr> Ya, SD is still on the bottom. [21:54] <shbrngdo> oh an RFI shield. good point. [21:55] <shbrngdo> wait - RPi 3 has built-in bluetooth and wifi. maybe that? [21:55] <stiltr> I waited like 9mo for my Pi1, haha. [22:05] <Bitweasil> The 3B+ has the wifi stuff under an RF shield, yes. [22:07] <B0g4r7_> It has 4 different wireless modes, doesn't it? wifi 2.4, wifi 5g, bluetooth, and ble? [22:08] <Bitweasil> Sounds correct. BLE = bluetooth low energy, not sure if that's really a separate mode from normal bluetooth. [22:10] <B0g4r7_> "Bluetooth Low Energy is not backward-compatible with the previous (often called "Classic") Bluetooth protocol. The Bluetooth 4.0 specification permits devices to implement either or both of the LE and Classic systems." [22:10] <Bitweasil> Ok, that's fair to count as a separate mode, then. [22:11] <Voop> so the regular B has it too? [22:12] <Bitweasil> Seems so, yes. [22:14] <gordonDrogon> Ben64, I've used SSRs on a Pi in the past. [22:14] <gordonDrogon> Ben64, let me lookup the type... hang on. [22:20] <larsks> If you're not switching that much current, there are smaller (e.g., 8A) ssrs available such as http://a.co/3JfFWQ1. [22:20] <larsks> If you are switching that much current, look out for the amount of heat those things generate. [22:27] <Voop> or is that the user "ball"
[22:29] <topicali> i assume rpi/raspian assigns network int name based on mac address..is there a simple flag in /boot/cmdline.txt ? [22:30] <topicali> should that be 1 or 0 for predictable names? [22:33] <Voop> so does putting 5v to the data microusb on the zero break things? [22:35] <Bitweasil> Huh? Should be fine... what do you think she did? [22:36] <Bitweasil> I can't see how that would hurt anything. [22:36] <Bitweasil> I'd imagine they're tolerant of 5V on the data lines as well, since I'm pretty sure some USB hosts swing to 5V/0V. [22:37] <Tenkawa> Voop: does the os see the card? [22:38] <gordonDrogon> Voop, hello... wiringPi? [22:39] <gordonDrogon> no idea. it's a fork of wiringPi. [22:39] <gordonDrogon> and the person who did it decided to call it wiringPi2. [22:40] <gordonDrogon> I don't do python, just C and BASIC. [22:40] <gordonDrogon> wiringPi is all C.
[22:41] <Voop> to trigger a script wouldnt i only need to bring one pin high? [22:42] <gordonDrogon> no idea. it depends on the hardware and what the person who wrote the script intends. [22:42] <gordonDrogon> that script is only waiting on one input pin. [22:42] <gordonDrogon> however it sets an output - why - who knows. [22:43] <gordonDrogon> what do you want to do? [22:44] <B0g4r7_> The script is setting up an input and an output for some reason. [22:44] <gordonDrogon> the Pi has internal pull-up (and down) resistors. [22:45] <gordonDrogon> so if you set the pull-up, then connect the input pin to 0v then it will read 0 when connected and 1 when not connected. [22:45] <B0g4r7_> GPIO 18 is sometimes called the "PWM output". It is usually used to generate signals that require precise timing using DMA. [22:45] <gordonDrogon> without seeing more of the original article it's impossible to say what they wanted. [22:46] <gordonDrogon> B0g4r7_, true, but you're confusing the issue here - it's not being used in pwm mode. [22:47] <gordonDrogon> Voop, so what is it that you're trying to do? [22:48] <gordonDrogon> that can be done in a few likes of shell script. [22:49] <gordonDrogon> you pick a pin, set the internal pull-up, wire the pin to one contact of the relay, wire the other side to the Pi's 0v side then wait for the pin to go low. [22:50] <gordonDrogon> it's up to you. [22:50] <gordonDrogon> personally, I'd pull the line to 0v when the relay closes, but that's just my preferance. [22:51] <gordonDrogon> do you have 2 terminals open on your Pi? [22:52] <gordonDrogon> if you can, then I can give you a demo. [22:52] <gordonDrogon> I'm assuming there is nothing connected to the Pi right now? [22:53] <gordonDrogon> it should read '1'. [22:53] <gordonDrogon> that's ok - I meant no gpio devices. [22:53] <B0g4r7_> Your relay will connect to two pins on the Pi GPIO. Don't use an external 3.3v power source. [22:54] <gordonDrogon> is this raspian-lite ? [22:54] <gordonDrogon> that will install the real wiringpi. [22:58] <gordonDrogon> that turns the internal pull-up to a pull-down - simulating an external signal pulling the gpio pin to 0v. [22:58] <gordonDrogon> the first window gpio command should have returned. [22:58] <gordonDrogon> great. that should give you enough to build something with. [22:59] <gordonDrogon> you can wait in a simple shell script - the gpio wfi command (wait for interrupt) then use an email command in the script to send an email. [23:01] <gordonDrogon> the mode up command sets the internal pull-up. We used mode down in the 2nd window to simulate pulling the pin low/0v. [23:01] <gordonDrogon> normally you'd not use the mode down command in this scenario - we just used it to test. [23:01] <gordonDrogon> yes there is - because mode down set the internal pull-down. [23:20] <r0b-> has anyone does an rpi car computer? [23:22] <r0b-> Like an android powered headunit type thing.. for navigation and such. [23:25] <r0b-> Im basically wondering if the Raspberry Pi audio has gotten better of if you still need a USB sound card. [23:26] <Bitweasil> It's still crap. [23:28] <r0b-> Well I was thinking about doing something with Android in my truck.. I have an aftermarket radio but it does not have a screen.. and I would like to maybe do navigation and pandora on a pi..
[23:59] <nfk> r0b-, HDMI is purely digital output and is perfectly fine. [23:59] <r0b-> I was going to use either the 3.5mm jack or bluetooth.